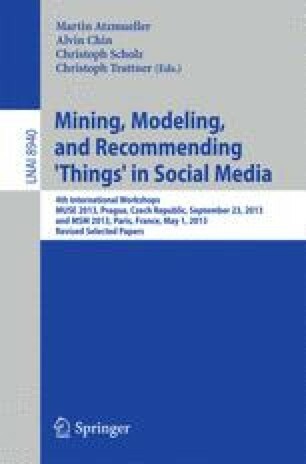 Recent research has unveiled the importance of online social networks for improving the quality of recommender systems and encouraged the research community to investigate better ways of exploiting the social information for recommendations. To contribute to this sparse field of research, in this paper we exploit users’ interactions along three data sources (marketplace, social network and location-based) to assess their performance in a barely studied domain: recommending products and domains of interests (i.e., product categories) to people in an online marketplace environment. To that end we defined sets of content- and network-based user similarity features for each data source and studied them isolated using an user-based Collaborative Filtering (CF) approach and in combination via a hybrid recommender algorithm, to assess which one provides the best recommendation performance. Interestingly, in our experiments conducted on a rich dataset collected from SecondLife, a popular online virtual world, we found that recommenders relying on user similarity features obtained from the social network data clearly yielded the best results in terms of accuracy in case of predicting products, whereas the features obtained from the marketplace and location-based data sources also obtained very good results in case of predicting categories. This finding indicates that all three types of data sources are important and should be taken into account depending on the level of specialization of the recommendation task. This work is supported by the Know-Center and the EU funded project Learning Layers (Grant Agreement 318209). Moreover, parts of this work were carried out during the tenure of an ERCIM “Alain Bensoussan” fellowship programme. The Learning Layers project is supported by the European Commission within the 7th Framework Program, under the DG Information society and Media (E3), unit of Cultural heritage and technology-enhanced learning. The Know-Center is funded within the Austrian COMET Program - Competence Centers for Excellent Technologies - under the auspices of the Austrian Ministry of Transport, Innovation and Technology, the Austrian Ministry of Economics and Labor and by the State of Styria. COMET is managed by the Austrian Research Promotion Agency (FFG).